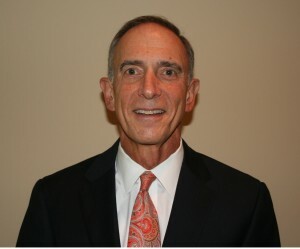 Zimmerman & Associates is a general practice law firm in the Atlanta Metropolitan area founded over 35 years ago by attorney and part-time Judge, Barry Zimmerman. The firm offers exceptional legal representation in the areas of criminal law and DUI defense, juvenile defense, family law, personal injury, corporate law, immigration and workers' compensation. Partnership Our attorneys partner with our clients to plan case strategies and we pride ourselves on communicating openly and often with our clients. Our small, family-style firm is the ideal setting for clients to receive excellent legal outcomes and personal service. We serve many clients, from individuals to multinational corporations, and everyone in between. The focus of our practice is to provide each and every one of our clients with personal and professional service. Service & Experience Our firm has an old-fashioned feel, but is a provider of cutting-edge legal representation. Our unique combination of judiciary and legal experience gives our clients powerful and unparalleled representation. We will do what is necessary to work with our clients on all of their legal needs. Our attorneys are here to answer your questions and to assist you in achieving your legal goals. Please contact us today and let us know how we may be able to assist you. Barry L. Zimmerman was born in Charlotte, NC, but has lived virtually all of his life in Atlanta. He graduated from the University of North Carolina, with a Bachelor of Arts Degree, in 1972, and received his law degree (Juris Doctor) from the University of Georgia School of Law in 1975. While at the University of Georgia Law School, Judge Zimmerman was a Senior Editor of the Georgia Law Review. For the past 33 years, Judge Zimmerman has been both a part-time Municipal Court Judge and a part-time Magistrate Court Judge, in the Municipal Courts for the cities of Atlanta, Alpharetta, and Roswell, and in the Fulton County Magistrate Court. Six years ago, he was appointed as the Chief Judge for the newly formed City of Milton, Georgia, another part-time position, where he still sits today. Judge Zimmerman is also a Designated Fulton County Superior Court Judge. Judge Zimmerman is also a member of the Councils of Municipal and Magistrate Court Judges. Judge Zimmerman has been practicing law in the Atlanta Metropolitan area for over 38 years. He is a member of the Georgia Bar Association, as well as the Atlanta Bar Association. In addition, he is, or has been, a member of the Litigation, Criminal, and Domestic law sections of the Atlanta Bar Association. Judge Zimmerman has also provided his time to the Atlanta Volunteer Lawyers Foundation. Judge Zimmerman has been happily married to Cynthia Wilson for 30 years and they are very proud of their two children. Mrs. Zimmerman is a Real Estate Agent with Palmer House Properties. Their son, Brad, is admitted to the Georgia Bar, where he practices with Zimmerman & Associates. The Zimmerman's daughter, Rachel, graduated from the Medical University of South Carolina in the Physician Assistant program, and is a practicing Physician Assistant. Judge Zimmerman has been extremely active in the community. For 16 years, he coached boys and girls soccer at the YMCA; girls and boys basketball at Holy Innocents' Episcopal Church; boys T-ball and baseball, as well as travel baseball, girls softball, as well as travel softball, and youth football, for Sandy Springs Youth Sports. Currently, Judge Zimmerman gives educational lectures at various high schools, youth groups, and other social and charitable organizations on legal issues that effect teens. In his leisure, Judge Zimmerman enjoys traveling, as well as participating in ALTA and USTA Tennis leagues. He also enjoys working out, playing golf, playing horse shoes, bowling, boating, water skiing, and snow skiing. He is also an avid sports fan of all of the sports.